The Embroidered Patch Grading Guide is now available for public comment and review. While originally drafted for space patches, this guide could be adopted for all facets of embroidered patch collecting, from law enforcement to military. You can comment and rate patches as well as create and share your own patch registery! Welcome to the new and improved Space Patch Database! Content will be updated soon! For now, please enjoy images and information for over 1000 patches! 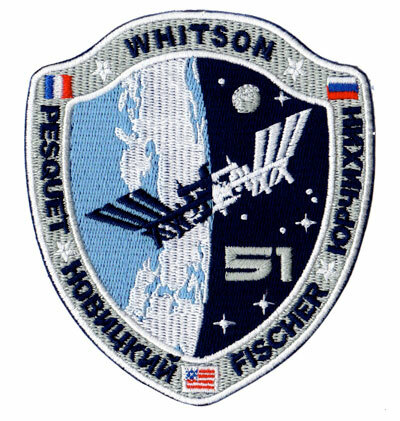 You can now order the ISS-51 patch from Skyforce Patches, they are in stock and shipping! 870 Patches in the backlog. If you have a patch or a collection of patches you would like to have appraised, we can do that for you. Please contact us at appraisals@spacepatchdatabase.com. Want to help? We are looking for a few knowledgable patch afficionadoes to help update and add to the site. Contact us for info on how.